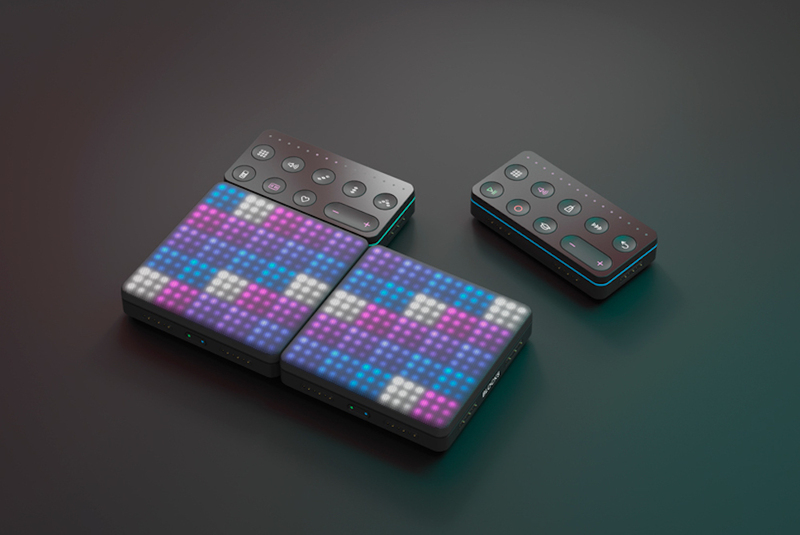 Developed by music-innovator Roli, BLOCKS is a modular, magnetically connecting touchpad device used to create tuneful masterpieces in as little as a few minutes. Easy-to-use but far-reaching in its capabilities, the possible compositions are endless thanks to the tool’s attaching components – the more BLOCKS you have the more complex compositions you can create. Powered by NOISE, a free Bluetooth-based music creation app for iPhones and iPads that lets you load sounds and articulate their position on the board as well as their interactions, the pocket-sized music creation engine will democratize song production like never before. Customized based on one’s needs, budget, skill levels and style, the BLOCKS system is composed of three primary extensions named ‘lighted block,’ ‘live block’ and ‘loop block,’ all of which come together to create various musical functionalities. Both intuitive and versatile, the size of the device means artists can put together songs even when they’re on the go. With an ever-growing fan base, creator Roland Lamb looks to parallel the company’s progress by providing additional, more diversified sound palettes for users to play around with. So far, BLOCKS features a collection of nine sound packs, some of which were created by renowned artists Grimes, Steve Aoki and RZA. The colorful interface is matched with equally vibrant signature sounds, such as ‘neon future,’ ‘spoonful of grit,’ ‘giant dubstep,’ ‘world colors,’ ‘video games,’ and ‘expressive electronic’ to name a few. Lamb aims to introduce even more sounds over the course of 2017.